Melanie Najarian has been teaching dance in the Greater Boston area since graduating college in 2002. She holds a B.A. in Music from Clark University, where she danced with, choreographed for, and co-directed the Variant Dance Troupe. 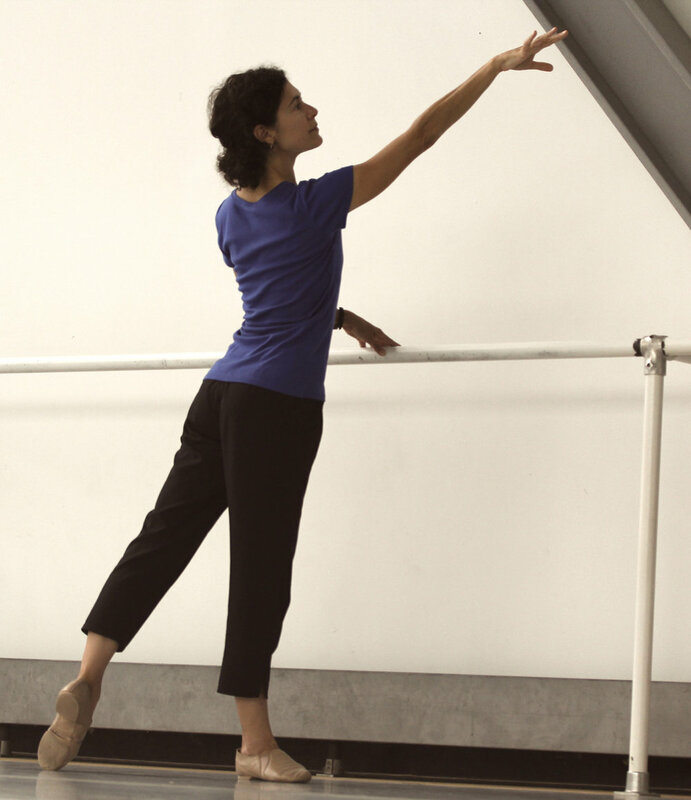 Following her passion for teaching dance, she earned her A.A. in Dance from Dean College. At Dean, she took classes in all styles of dance as well as pedagogy, choreography, and creative movement for children. She has since then danced with the SRO Players of Lowell and participated in Boston Ballet’s Adult Summer Dance Program. Before moving to the Berkshires, Melanie was the General Manager of Dance This Way, a full-service dancewear store in Concord, MA. She also co-choreographed the annual musicals at RJ Grey Junior High School in Acton, which included the junior versions of Guys and Dolls, Honk, Willy Wonka, Once On This Island, and Bye Bye Birdie. Prior to college, Melanie studied at the former Belmont School of Ballet. Originally hailing from Montrose, NY, Sunhwa Reiner is a teacher, musician, and life-long learner. She is the choral and general music teacher at Monument Valley Regional Middle School in Great Barrington, MA, with a B.M. in Music Education from the Ithaca College School of Music. She studied piano for 7 years under Jennifer Hayghe, Gregory DeTurck, and Rumiko Isaksen and studied voice under Carl Johengen for 3 years. She has sang in several award-winning choirs, including the Ithaca College Choir, accompanied several vocalists and youth choirs, and participated in many music conferences around the country. Sunhwa is currently on the board of directors for the Association for Popular Music Education and works to promote popular music teacher education on college campuses. She is passionate about community collaboration and has been involved with several other community projects, such as the Berkshire Tree Sisters and the Word Project Improv Troupe through Berkshire United Way. Molly is an Assistant Professor in Dance/Dance Education at the University of Massachusetts Amherst, and with the Five College Dance Department. She received her MFA in Dance Performance and Choreography and an MA in Dance Education with Pre-K-12 Teacher Certification from the College at Brockport, and a BFA in Modern Dance from the University of the Arts. Her teaching philosophy, choreography, and research is grounded in thirty years of experience in Katherine Dunham Technique and Philosophies. She was personally certified by Ms. Dunham in 2004 as a teacher, after having served as a technique demonstrator for her and other Dunham master teachers. Molly’s artistic practice and training is dually rooted in modern dance and traditional dance and music languages. She has conducted research in Brazil, Cuba, Puerto Rico and Senegal which continues to inform her artistic and academic work. She co-founded Trio Dourado Brazilian Dance Company and Cuban Latin Cabaret Productions, and has performed, choreographed, and costumed a range of modern, Brazilian, Cuban and West African based companies. She has been Guest Artist for the College at Brockport’s Sankofa African Dance and Drum Ensemble and at SUNY Geneseo. She has taught extensively within elementary through university level school and community settings for over twenty years, designing curriculum and directing programs for children through adults within diverse dance educational and performance environments, as well as in the Pilates and HIV/AIDS risk reduction education fields. Before joining the faculty at UMass, she was an adjunct professor at Morrisville State College, Bard College at Simon’s Rock, and Bard Academy, and developed the middle and high school dance programs at an arts-integrated Expeditionary Learning school in Buffalo, NY.